Defenceman Francois Beauchemin has signed a three-year deal with the Colorado Avalanche. According to TSN Hockey Insider Pierre LeBrun, the deal will carry an average annual salary of $4.5 million. 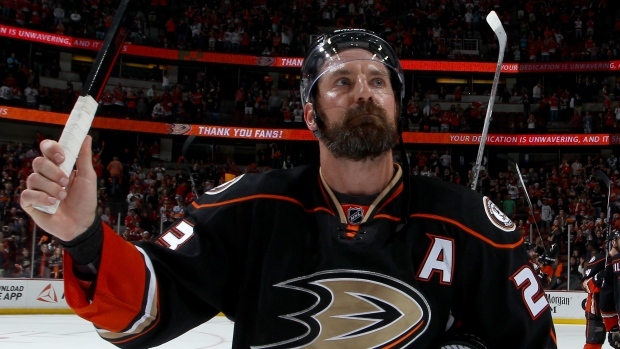 The 35-year-old scored 11 goals and 23 points in 64 games with the Anaheim Ducks last season. He added nine assists in the club's run to the Western Conference finals. The former Stanley Cup champion was drafted 75th overall by the Montreal Canadiens in 1998 and has since spent time with the Habs,Columbus Blue Jackets, Toronto Maple Leafs and Ducks.